Near the end / when everything I lived for means nothing / I might finally see what was always there / a chosen poplar in a bog meadow / cymballing like a tuning fork / a change in the wind / gleaned by a shy hare / who waits to carry the news / into the next townland. Such a simple poem. It evokes resignation. Acceptance. Even a quiet sense of epiphany. Westport poet, Ger Reidy, wrote this poem during his 40s, a decade, he tells The Mayo News, defined by an increased sense of nature and of people. Of course, the poetic pilgrimage that culminated in the realisation of man’s continued intimacy and harmonious relationship with the natural world was a complex one. Don’t let the ethereal title of Ger Reidy’s second collection of poetry, Drifting Under the Moon suggest otherwise. Although, Michael McLaughlin’s black-and-white cover photograph of a misty, Clew Bay, bodes mystery behind the dark flitting clouds, and beyond the occluded horizon. On the face of it, this new book contrasts with his critically acclaimed first collection, Pictures from a Reservation, which intimates the marginalisation and peripherality of the west of Ireland. But on reading Drifting Under the Moon, a seamless maturation is quickly evident. These preoccupations continue in Drifting Under the Moon, albeit tempered and honed by many new experiences: his parents died, his marriage ended, he lived alone for the first time in his life. “During this time my job [as a roads engineer with Mayo County Council] brought me out to the islands, Inishturk and Clare Island. On these voyages and visits, I became more aware of the power of the sea, of the moon, of the fundamentals of nature,” Ger Reidy reveals, in his low, sometimes monosyllabic drawl. In ‘Prayer’ this heightened awareness of the primeval and rhythmic potency of the elements is perfectly encapsulated. Clare Island ran aground / at the entrance of Clew Bay / where sunlight tinselled the waves / I am humbled into silence / at the fusion of river and sea / Far off the squinting village streetlights / tell me that I must go home / I bow my head and gaze at the stars / like an old bird drinking at the lake’s edge / scanning the sky for a God to praise. “Essentially, my compassion and empathy for the ordinary predicaments people go through have increased,” Reidy adds. Conceding this was fueled by his own experience of pain. Ger Reidy’s ironic and idiosyncratic take on rural and village life remains a defining characteristic of his poetry and adds a welcome levity to this new series of more inward-searching poetic musings. Down at the Crossroads typifies this. Ward’s dog barks from the top of a coal-shed / while three women attend Benediction / McHale scratches a Winning Streak / on the mudguard of a red tractor / There’s a bra and a pickaxe / in the front bucket of a JCB / Mrs Maguire is hanging out the under-13s jerseys. Of course, this skill for weaving strong imagery is also woven into the darker caverns of his poetic muse. The Refinery was published some months ago in The Sunday Tribune. Its stark imagery cuts with the alacrity of a pathologist of the soul. Skin me with a kiss from a cold corpse / lance me to the bone with a keen knife / immerse me in a bath of acid / clasp me in the vice of a country garage / stab me with the magic of an ordinary day / carve from me hunks of conditioning. 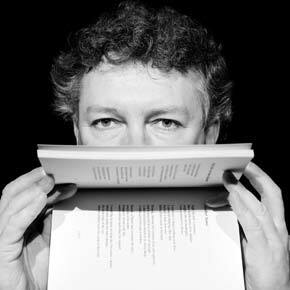 Aughagower native Ger Reidy will read from his highly anticipated new poetry collection, Drifting Under the Moon, at the Linenhall Arts Centre, Castlebar, tomorrow Wednesday, May 5 at 8pm. The official launch will be performed by RTÉ/TG4 presenter, actor, Macnas founder and current Managing Director of Galway Arts Centre, Pádraic Breathnach. All are welcome.